The NASA Langley Airborne Differential Absorption Lidar (DIAL) system uses four lasers to make DIAL O3 profile measurements in the ultraviolet (UV) simultaneously with aerosol profile measurements in the visible and IR. Recent changes incorporate an additional laser and modifications to the receiver system that will provide aerosol backscatter, extinction, and depolarization profile measurements at three wavelengths (UV, visible, and NIR). 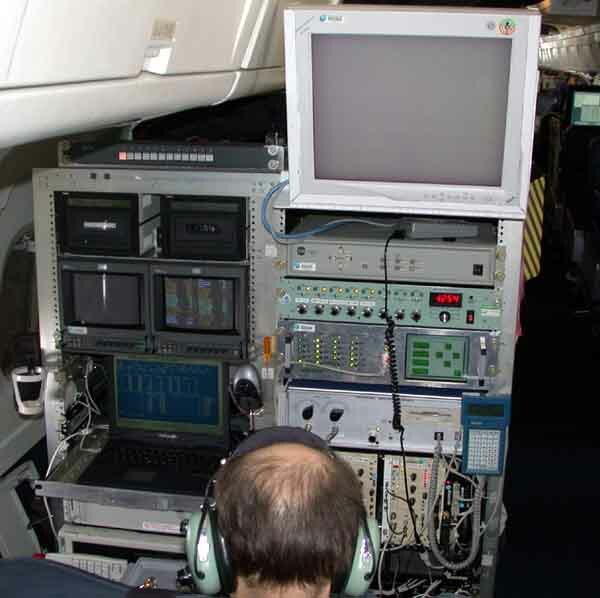 For SEAC4RS, the DIAL instrument will include for the first time aerosol and cloud measurements implementing the High Spectral Resolution Lidar (HSRL) technique [Hair, 2008]. The modifications include integrating an additional 3-wavelength (355 nm, 532 nm, 1064 nm) narrowband laser and the receiver to make the following measurements; depolarization at all three wavelengths, aerosol/cloud backscatter and extinction at 532 nm via the HSRL technique, and aerosol/cloud backscatter at the 355 and 1064 nm via the standard backscatter lidar technique. Integration of the aerosol extinction profile at 532nm above and below the aircraft also provides aerosol optical depth (AOD) along the aircraft flight track. Hair, J. W., et al. (2008), Airborne High Spectral Resolution Lidar for Profiling Aerosol Optical Properties, Appl. Opt., 47, doi:10.1364/AO.47.006734.